Hundreds are believed to have been buried in unmarked graves at a Hudson Valley military cemetery during the Revolutionary War. Research conducted by a local historical organization has put names to 25 soldiers out of the hundreds believed to have been buried in unmarked graves at a military cemetery in New York’s Hudson Valley during the American Revolution. “Having names of folks makes it more real to people when they’re thinking about getting involved and supporting us,” said Lance Ashworth, president of the Friends of the Fishkill Supply Depot, which is working to preserve the cemetery site. The deaths occurred between 1776 and 1783, when the Fishkill Supply Depot was a bustling military outpost and the main supply source for the northern portion of Gen. George Washington’s Continental Army. Located in Dutchess County just a few miles inland from the Hudson River’s east bank, 60 miles north of New York City, the depot was a sprawling complex of barracks, stables, blacksmith shops, hospitals, armories and stockades. Thousands of soldiers passed through Fishkill during the war. Many, perhaps more than 1,000, are believed to have died there, although an accurate number is unknown. Some died from battle wounds suffered elsewhere, but the majority of the soldiers buried at Fishkill died from illness or disease. Over the past two-plus centuries, farms, homes and businesses have encroached on the old depot site. By the late 20th century, suburban sprawl had whittled the cemetery site down to a tiny patch of woods bounded by a highway, shopping mall, gas station and private property. 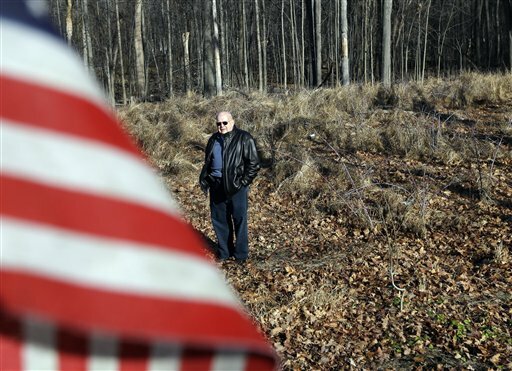 A few years ago, local officials and preservationists launched an effort to protect the last remaining untouched, privately owned parcel believed to hold the graves of hundreds of soldiers. In 2008, archaeologists used radar to confirm that the southern tip of the property alone contained the graves of more than 300 soldiers. In the fall of 2010, members of Ashworth’s nonprofit group began a project to identify some of the soldiers. Those listed in historical records as having “died at Fishkill” were likely buried there, since the practice of embalming a soldier’s body for shipment back home wasn’t developed until nearly a century later, during the Civil War. During the American Revolution, “you were buried where you fell,” said Ashworth, a 1991 graduate of the U.S. Military Academy at nearby West Point. The group pored over old muster roles, military correspondence, private letters, physicians’ journals and other documents to find any mention of Fishkill and soldier deaths. So far they’ve been able to identify 25 listed in the records as having died at Fishkill. They include 12 privates, five lieutenants, three captains, a surgeon and a nurse and three others whose ranks are not listed. The regiments they served in were mustered in New York, Massachusetts, Connecticut and Maryland. The cause of death is known for just a handful of them. Three died of smallpox, two from drowning in Fishkill Creek and one from dysentery. The group’s project is unique among Revolutionary War-era military cemeteries, given their scarcity and the large number of soldiers believed to be buried at Fishkill, according to one expert. “We haven’t heard of anyone going back into the records and putting names to actual people buried” at military cemeteries from the war, said Scott Stephenson, director of collections and interpretation at the Museum of the American Revolution, scheduled to open in Philadelphia in 2016. The Fishkill group has been in contact with several descendants of some of the 25 soldiers identified. They include Elsie Godwin of Newark, Del., and Lee Carlson of Gardiner, across the Hudson River from Fishkill. Carlson’s family tree includes Archelaus Towne, a 45-year-old captain from New Hampshire who fought at Bunker Hill and Saratoga before dying of dysentery and fever at Fishkill on Dec. 1, 1779. Carlson said he had no inkling when he moved to the Hudson Valley years ago that Towne was buried nearby. He has since visited the Fishkill site several times while researching his ancestor’s life story. Godwin is linked to Fishkill through two ancestors believed to be buried there: Capt. Abraham Godwin, commander of a marine barge who died in 1779, and his son, Henry, a New York infantry officer who died three years later after being released from a British prison. Godwin, a retired state worker, has visited the Fishkill area but not the cemetery site. Still, the years she has spent researching her ancestors’ role in the war has given her a new appreciation for the subject.